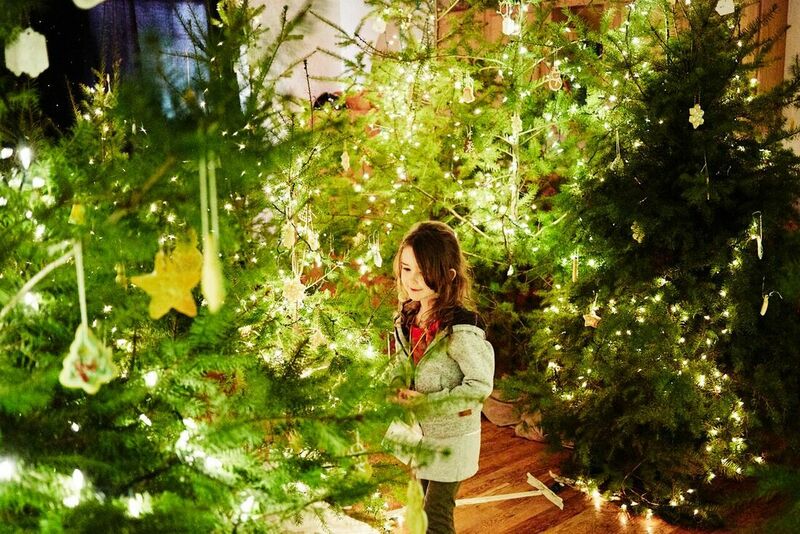 At Olympia Waldorf School, like Waldorf schools around the world, the celebration of seasonal festivals renews our awareness of the rhythms of the year and fosters the children’s relationship to the world into which they grow. Our festivals are brought to life thought the efforts of our entire school community and are a cherished part of the life of our school. In addition to our three main seasonal festivals, parents are welcome to attend the various all-school daytime assemblies which are held throughout the year, including the Rose Ceremony on the first day of school, Friday Morning Assemblies, and Eighth Grade Graduation and End of the Year Assembly. Each new school year at Olympia Waldorf School begins and ends with a Rose Ceremony. In the fall, at our welcome assembly, it is the role of the new eighth graders to present roses to the budding first graders as they begin their journey through the grades. This year, the first graders walked under the archway of their parent’s arms with quiet reverence while one by one each eighth grader presented them with a rose and walked the child to meet their teacher. This June, at the end of this school year, another rose ceremony will take place. The first graders, grown in height and confidence, will offer roses to their eighth grade buddies marking another significant transition. The eighth graders graduate from one community formed by friends and teachers, to another community the students choose and foster on their own. 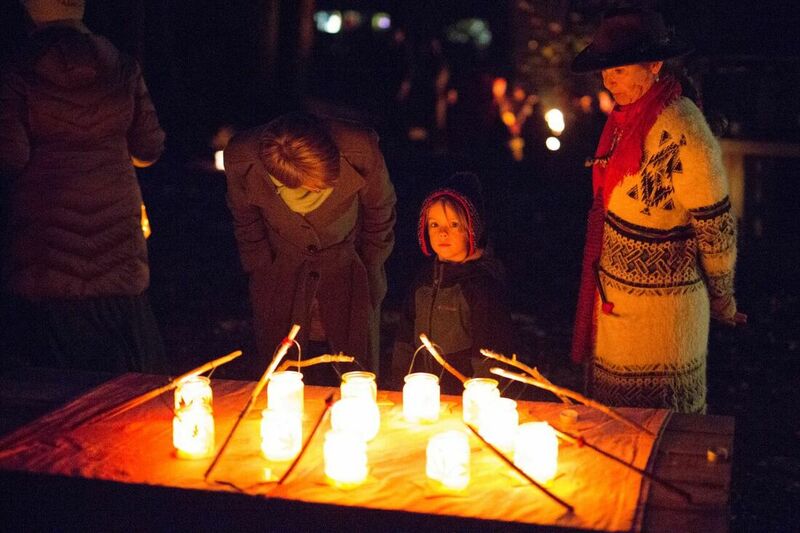 ​The festival of courage, is one of many historical festivals that have evolved over time to encompass both the secular and the spiritual, that are celebrated in Waldorf schools around the world as sign-posts of the changing seasons. We too associate Michaelmas with the shortening of days, with the beginning of the school year. It's plain to see why we love this festival--for its celebration of the harvest, for its feasting; for its message of bravery and good deeds; for its encouraging transition from one season to another. 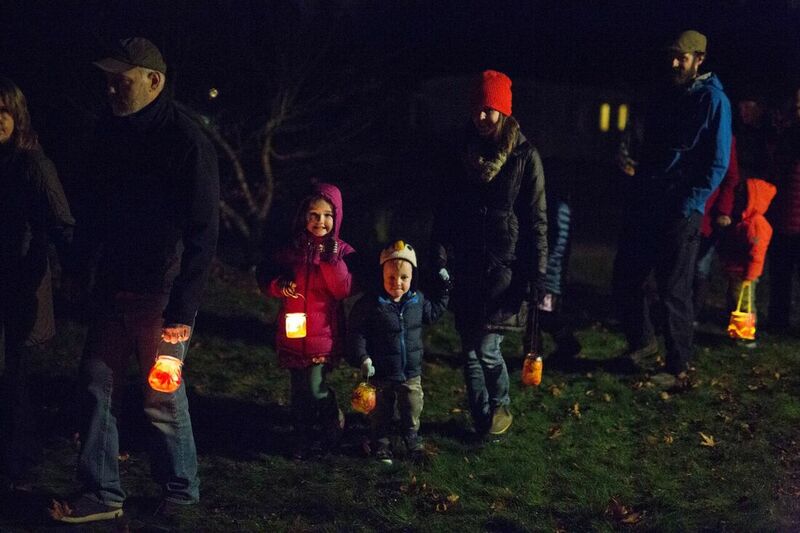 The lantern is the symbol of our light which we can shine on a dark world, and in a Waldorf school, we celebrate the holiday by holding a “lantern walk” for our children and their families in Preschool through Second Grade. The Children spend the weeks before this event learning the songs and making the lanterns that they will carry though the dark during this special celebration. The evening is ended with warm cider and songs around a warm fire. ​Evergreen boughs are placed in a spiral form on the floor with a large candle in its center. The room is darkened and the mood is peaceful. The spiral begins; one at a time each child walks into the spiral with a lantern in which sits an unlit candle. They walk with or without help from teachers and or parents depending on their needs and make their way to the spiral’s center. There they find the large lighted candle and from it light their own. They place their lantern with care and with help if needed somewhere along the spiral’s path and then they walk their way back to their seat. It is a special moment to watch a young child wend their way through the spiral’s path and find the universal light that they then take back to give to the world. The experience of the Winter spiral reflects the human experience at this time of the year; entering a time of darkness, of shorter days and longer nights and going forward with hope to welcome the light of the sun after the winter solstice. On the first Saturday in December our school celebrates the magic and enchantment of the holiday season. There will be fun for all ages. This celebration is a gift to children all around Olympia! Enjoy warm, freshly-baked gingerbread, music and puppet plays, wonderful new crafts and perennial favorites too! There are magical activities for the whole family! Traditionally, May 1st is the official date of May Day. In many countries this day is celebrated as a traditional springtime festival or as an international day honoring workers. 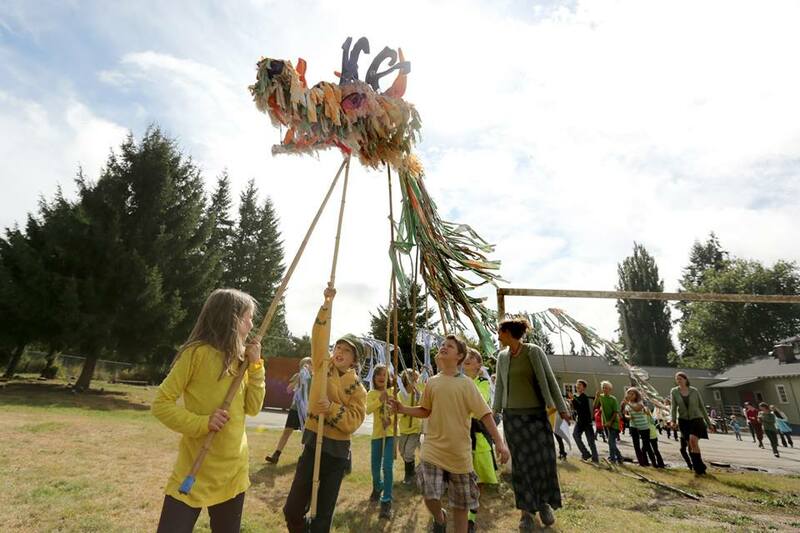 At the Olympia Waldorf School, we celebrate this day with a community gathering: garland making, spring crafts, May Pole Dance, food and games. Olympia Waldorf School does not discriminate on the basis of race, color, national or ethnic origin, religion, disabilities, sexual orientation (including gender expression or identity), gender, or economic status in the administration of its admissions and academic policies.